"Committed To Excellence In Service And Quality"
MC & Visa for all Manual Transactions! Proud Distributor of Sorbothane, Visco, Elastic, and Polymer Products! 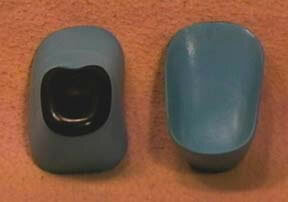 Like millions of people all over the world, you too can experience the protection, comfort and relief of Sorbothane. Medical research has proven that in normal walking, when your heel hits the ground your body suffers from "HEEL STRIKE" shock, which can not only cause painful foot, leg and back symptoms, but also aggravates many existing problems and the pain of being on your feet all day. Exciting new breakthroughs in medical science have made it possible to develop a space-age polymer material, Sorbothane, that absorbs up to 90% of shock! The results? Sorbothane is like an extra layer of flesh which diverts shock waves sideways instead of up through your body. And because it has a perfect memory, it recovers in time to cushion every step you take over and over again. No wonder it is used daily by physicians, athletes and pain sufferers all over the world, for soothing comfort and relief from their foot, leg and lower back pains. THERE IS NO EQUAL TO SORBOTHANE! Keeps on working through years of use and millions of steps. Available in larger sizes on request. 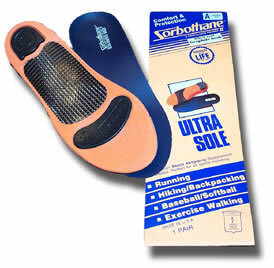 The patented Sorbothane Insoles are the most scientifically advanced and efficient energy absorbing device you can buy. The patented visco heel pad will absorb the damaging element of the shock waves generated when your heel hits the ground, referred to as "heel strike." 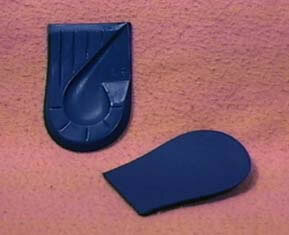 The most scientifically advanced and efficient energy absorbing device you can buy. Cushions debilitating shock waves generated when walking or running. 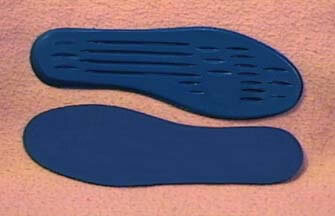 Designed to reduce pressures placed on the center of the heel when walking or running. Redistributes weight away from painful areas, including heel spurs. Lightweight shock absorbing heel cushions perfect for all activities. 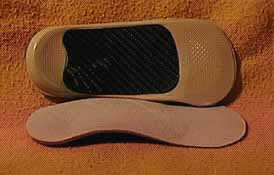 Superior shock absorbing replacement insoles. Perfect for all athletic shoes and work boots. Combines the unsurpassed shock absorbing ability of SorbothaneÂ® with the lightweight structure support of Polyurethane foam. ULTRA SOLE with GRAPHITE ARCH. The TL2100 Graphite Arch for additional stability and support. 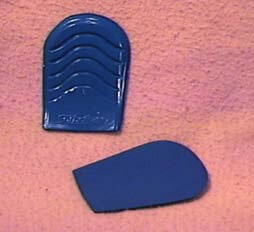 This unique combination provides foot shock protection with orthotic features. Perfect for all athletic shoes and work boots. Lightweight and durable with neutral arch support that provides shock absorption yet does not alter or inhibit function of the foot. 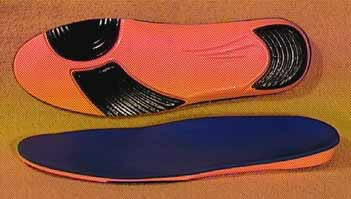 Sorboairâ„¢ is the lightest weight 100% Sorbothane insole available. 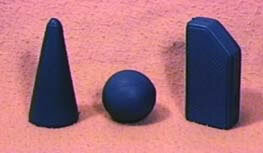 A multi-purpose hand exercise system. Invaluable for all sporting activities where an increased grip improves the standard of play such as golf, tennis, racquetball, squash, bowling and as a rehabilitation tool after injury or surgery. Peace of mind when you put your foot down! 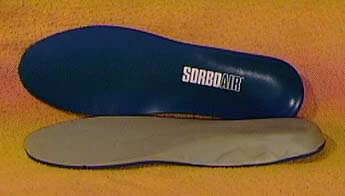 SorboairÂ® is the most popular lightweight 100% SorbothaneÂ® insole. Sorboair'sÂ® non-skid PoronÂ® cover wicks away moisture, improves ventilation and provides additional cushioning and energy return. SorbothaneÂ® is the ONLY insole material available that absorbs up to 94.7% of impact shock. Ailments such as Achilles tendinitis, runner's knee, shin splints and lower back pain can be the result shock. That's why doctors, sports medicine specialists and professional trainers widely recommend SorbothaneÂ® as the most effective barrier against impact related injuries. Test data and physicians' testimonials are available upon request.